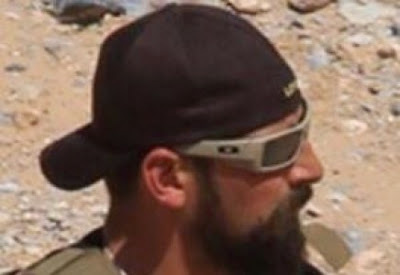 Dan Love, subject of this article, was the Special Agent in Charge of the BLM in Bunkerville April 12th. This debate is a great opportunity to hear about the lands issues we are facing. The State of Utah vs the BLM, live from SUU in Cedar City UT. 6pm tonight, Sept 18th. 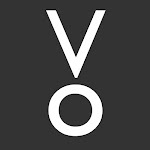 Just click the link below to watch it live. If you can't make the live broadcast at least register then you will get a notice of where you can watch it later on. 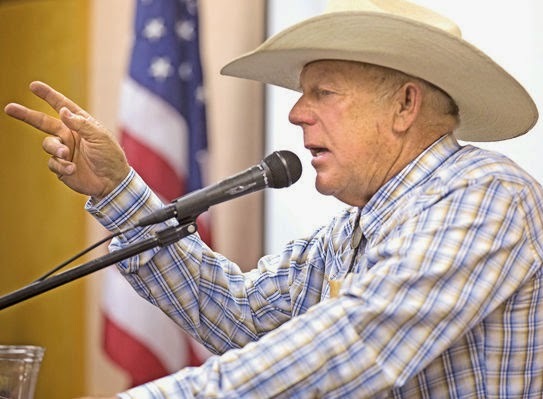 ELKO — Controversial figure Cliven Bundy said Thursday a transfer of public land from federal to state control was unnecessary, on grounds that Nevada already has a right to most of the land. Many local officials advocate for such a transfer, but Bundy said you can’t ask for something you already own. 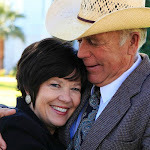 The Southern Nevada rancher was met by a welcoming crowd in Elko Thursday evening at a tea party-sponsored gathering. Attendees were told by organizers they would have the opportunity to hear his side of the story. Bundy gained notoriety during a rangeland dispute last spring and made national headlines. But he disputed owing more than $1 million in grazing fees, as reported. “I don’t run my cows on United States government land, I run my cows in the state of Nevada and Clark County,” he said. “And besides, if the federal government says I owe, why don’t they give me a bill? 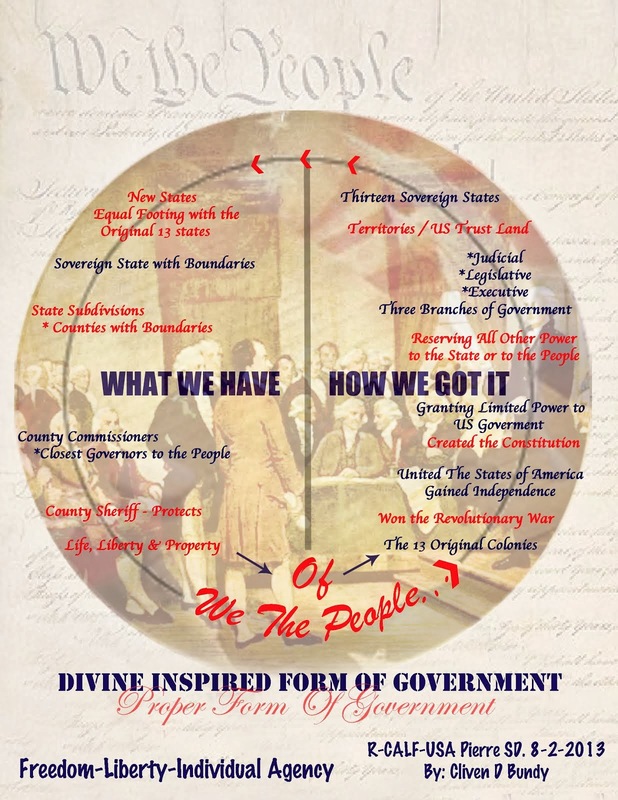 And why don’t they collect that bill?” In Bundy’s eyes, the U.S. Constitution prevents the federal government from having a legal claim to the majority of land in the state. More than 84 percent of land in Nevada is managed by the federal government. 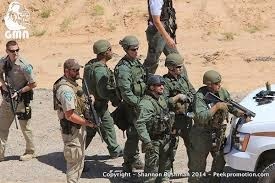 Bundy told attendees about how 100 federal officers, armed with guns and gear, first arrived to his ranch in April. 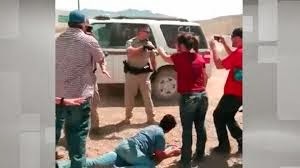 He said officers abused his family during the first few days of the roundup, including an instance when his son was hit with a Taser gun, then hauled off in handcuffs for trying to take a photograph of captured cattle. Bundy’s talk was infused with religious overtones, such as crediting his “Heavenly Father” for helping him in the struggle. 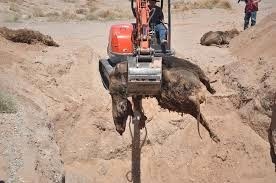 According to The Associated Press, the government reduced grazing on the Bunkerville allotment to 150 cows due to concern over the welfare of the threatened desert tortoise. 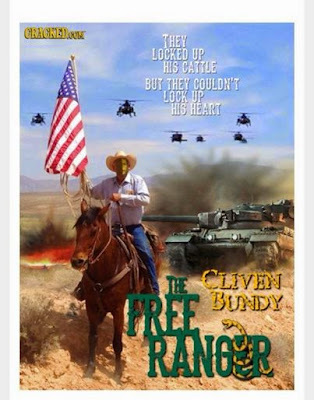 Bundy continued to run cattle on the range but stopped paying fees. About a year later, his permit was revoked. Bundy continued to graze, however, without paying grazing fees, and the BLM calculated a $1.1 million debt owned by the rancher. 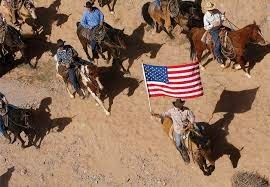 Two federal judge rulings sided with the BLM, however, and the government organized a cattle gathering that began in early April. 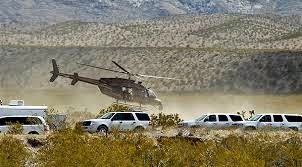 In addition to disagreeing with the BLM’s legal arguments and arguing that his family had grazed in the area since the 1870s, the rancher said the government’s decision to send armed agents for the roundup was an overreaction. Furthermore, “free speech zones” set up by the BLM incensed supporters, who considered it a form of censorship and a trampling of their First Amendment rights. Within days, people rallied to back the rancher, who had vowed to “do whatever it takes” to keep the BLM from gathering his cows, according to the AP. At Thursday’s event, Bundy disputed claims that militia pointed firearms at federal officers. 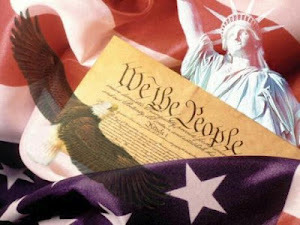 Politicians began weighing in on the showdown between armed militia members and federal officers. Neil Kornze, BLM director and former Elko resident, called off the roundup on April 12, due to growing concerns for the safety of those involved. Impounded cattle were released. According to Bundy, “three old ladies,” not the BLM, unlatched the pen holding his cows. Many people who attended the event sympathized with Bundy’s sentiments. “I don’t support the military coming in,” Steve Dennin said before the event. Mike Katsonis agreed that military force was unnecessary, and said he would like to see a change in how the lands are managed. “We need to have the BLM lands taken out of federal hands and given to the states,” he said. John Viergutz compared the federal overreach to Soviet-era Russia. Janet Beeler said Bundy had been unjustly painted as a criminal. At least one attendee disagreed that Bundy was in the right, however. Tonya Garfield attended the event because she is studying agriculture, and said the Bundy dispute has led to lively debates in her classes. The daughter of a rancher, she’s concerned about the impact of Bundy’s actions for the rest of the state’s ranchers. “I think (Bundy) should have paid his grazing fees,” she said. “He’s giving all of us in agriculture and the Nevada cowboys a bad name. Why are so many people in Utah concerned about the threat of a new national monument in the Greater Canyonlands area? This excellent piece from Fox News explores the controversy. The Public Lands Initiative being sponsored by Rep. Bishop and me allows stakeholders to give input and work together to reach consensus. This approach is much better than having a decision imposed on us by a president who has never been here.